It’s Day 269 of “365 Things to do in Cincinnati” and today we’re featuring The Dilly Cafe in Mariemont. Part wine store, part specialty beer store, part bar, part cafe… this place might have an identity crisis! We entered from the Wooster Pike side of things, which led us into the wine store. 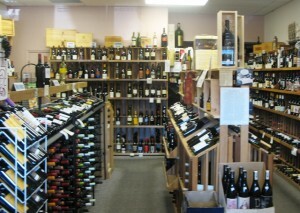 They have a very nice selection of different wines to choose from. Not being a wine drinker myself, I can’t really tell you too much about it other than there are lots of bottles!!! Walking out the back of the wine shop leads you into the back half of the space which houses their beer selection on the left. Now I am a beer drinker and I noticed LOTS of unusual bottles of beer from all over the world. Many of them could be purchased by the bottle, making it easy to try something new and unusual. 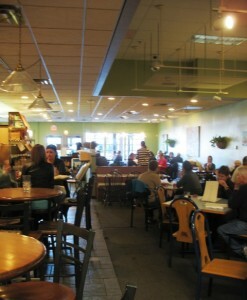 Venturing off to the right you’ll find the full service bar followed by their large dining area. We had took a seat and ordered from their lunch menu. 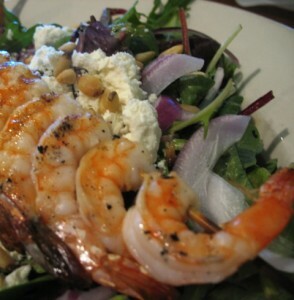 I had a salmon burger and my daughter had their shrimp salad. Both entrees were very generous in size. 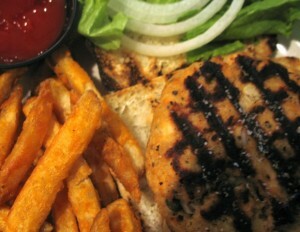 To be totally honest, we weren’t wow’ed by the food and our service was slow. Perhaps we should have tried something else? I know they get great reviews from other people so we’ll go back for a second go-round later on. I will say that we ended it with a piece of turtle cheesecake and they totally redeemed themselves with that! The cheesecake was superb! They have a beautiful outdoor patio area with a fireplace that I am sure is a great place to be when the weather is warmer. Is it the “Dilly Cafe”? Or the “Dilly Deli”? 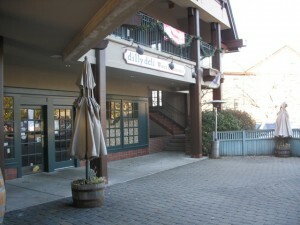 When I lived in Mariemont it was then called the “Dilly Deli”. Definitely worth a mention whichever it is currently called. Order the quiche. Yum. Looks like a wonderful place! I have been to Mariemont before to the movie theater but I would like to explore other places. Sounds like a trip worth taking to see the wide selection of wines and beers from around the world and have something to eat as well! Thanks for posting. If you are a beer drinker and not a wine drinker, you probably haven’t tried enough wines, there are so, so many. You ought to visit Piazza Discepoli (I recommend the White Oak location because I believe that is where Guy is since they closed their charming College Hill location) and let him educate your palate! You won’t regret it, I promise!! Also, I hope you didn’t miss Flipdaddy’s while you were in Mariemont. I had the Asian Fusion burger there before Christmas. It was soooo good. It’s the Dilly Deli…however, we know it better as the ‘Dull Deli.’ The food is not good and I have received stale chips multiple times with my lunch. Skill the Dull Deli and have lunch at Graeters instead!